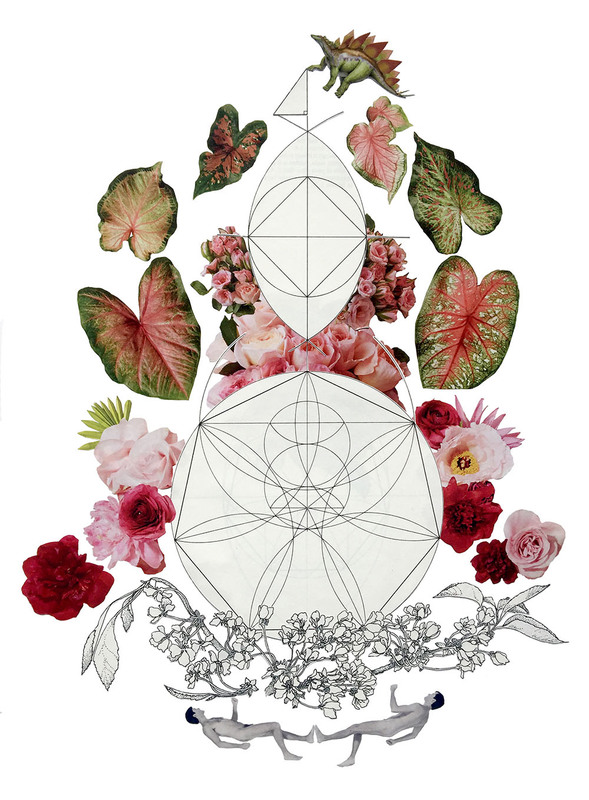 Geometry Geology is an art exhibition by Natale Adgnot and Julia Dittberner including drawing, sculpture and collage. The work of Franco-American artist Natale Adgnot and that of American artist Julia Dittberner is connected by a shared interest in geology and a fixation on the underlying geometric structures within nature. Geometry Geology, an exhibition which includes drawing, sculpture and collage, is born of a longing for order out of chaos and harmony through contrast. While both are inspired by diverse facets of the natural world, Natale Adgnot’s small works hover between drawing and sculpture while Julia Dittberner’s large works on paper assemble organic and geometric shapes into dramatic circular compositions. Adgnot’s work is defined by repetitive mark-making, either directly on mineral-inspired backgrounds or within the confines of small panels that evoke the irregular rhythm of stalactites and stalagmites. Her delicate sculptures–or drawings in three dimensions–invite viewers into an intimate experience reminiscent of ancient caves. Dittberner’s collages, teeming with lush foliage and unexpected fauna, offer a counterpart through bold colors and energetic compositions. She meticulously reorganizes images–from flowers to dinosaurs–based on color and pattern, creating dynamic movement within confined spaces.